Ann is the Co-Executive Director of the Yolo Basin Foundation, a non-profit dedicated to educating the public about Central Valley wetlands and wildlife. 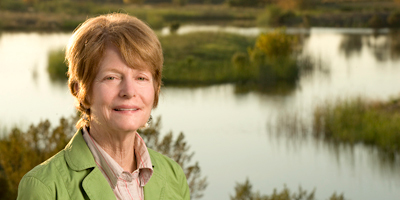 She was the founding Executive Director of the Cache Creek Conservancy in 1996 and currently serves on the board of directors of the Yolo County Flood Control and Water Conservation District. Ann is the author of A Landowner’s Guide to Streambank Management on Cache Creek and Exploring Putah Creek from Monticello Dam to the Yolo Wildlife Area.